Jaguar Colorado Springs in Colorado Springs, Colorado has a gorgeous Approved Certified Pre-owned 2017 Jaguar XE in our inventory! Being an Approved Certified Preowned vehicle, you are covered by some great protections when you purchase this vehicle! You will get a 6-yr/100,000-mile limited warranty, 24-hour roadside assistance, 165 multi-point inspection, vehicle history report, road test, no warranty deductible, and a transferable warranty! Now to wow you with facts about this Jaguar vehicle! For less than $35,000 you are getting a sedan with less than 1,000 miles! Plus, it is equipped with a 2.0L turbocharged engine which will get you an estimated 21 MPG city/30 MPG highway! If you love features, this Jaguar XE will not disappoint! Features include a Cold Climate Package, heated front windshield, Jaguar 80W Sound System, rain sensing windshield wipers, LuxTec seat trim, steering wheel mounted controls, and many more. Stop into Jaguar Colorado Springs today to check it out and even take a test drive! 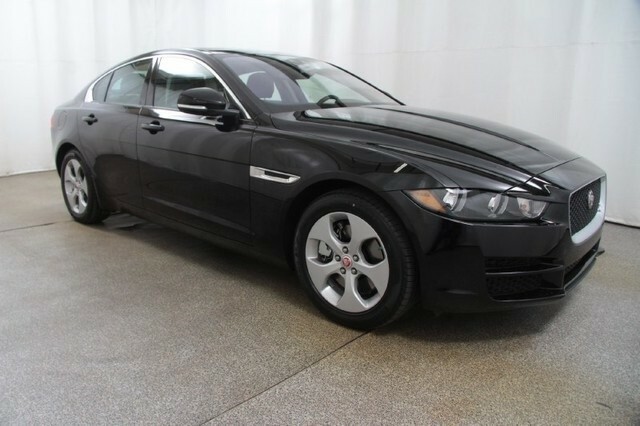 Let our Jaguar experts show you all of the amazing features that you will enjoy when you drive home in this beauty. Experience the powerful performance that will make every drive more fun!